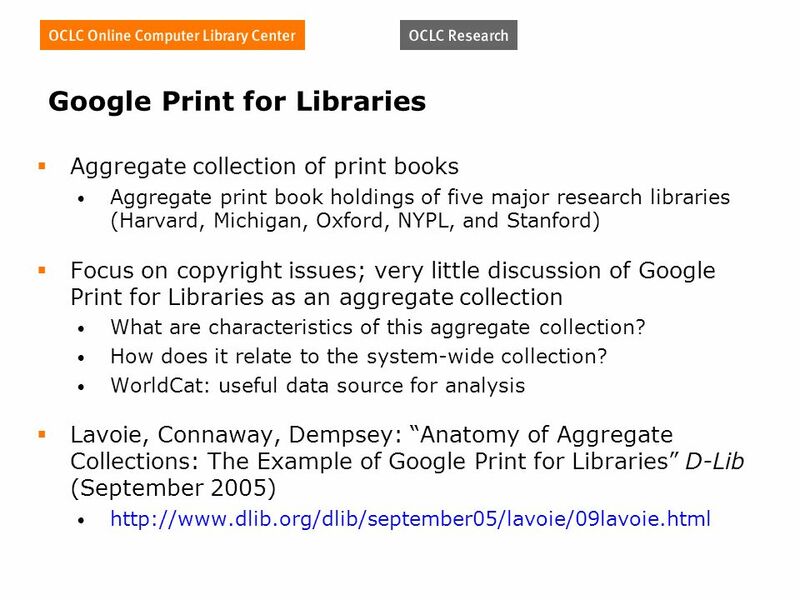 Anatomy of Aggregate Collections: The Example of Google Print for Libraries Brian Lavoie Senior Research Scientist OCLC Research OCLC Members Council Meeting. 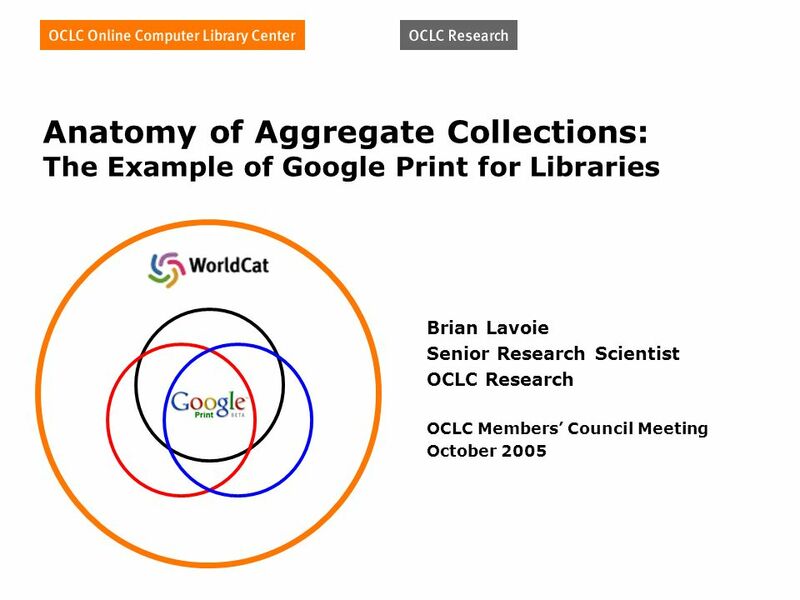 Download ppt "Anatomy of Aggregate Collections: The Example of Google Print for Libraries Brian Lavoie Senior Research Scientist OCLC Research OCLC Members Council Meeting." 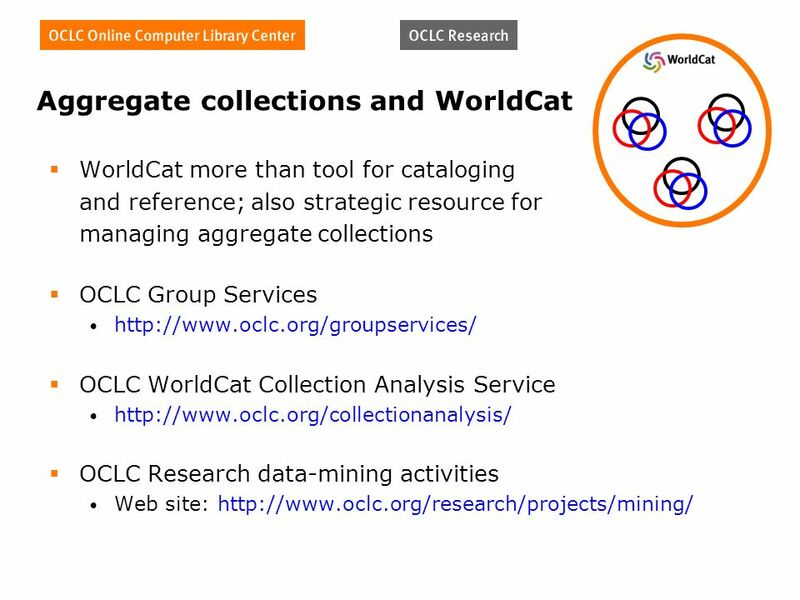 Mining for Digital Resources: Identifying and Characterizing Digital Materials in WorldCat Brian Lavoie Lynn Silipigni Connaway Ed ONeill ACRL 12 th National. 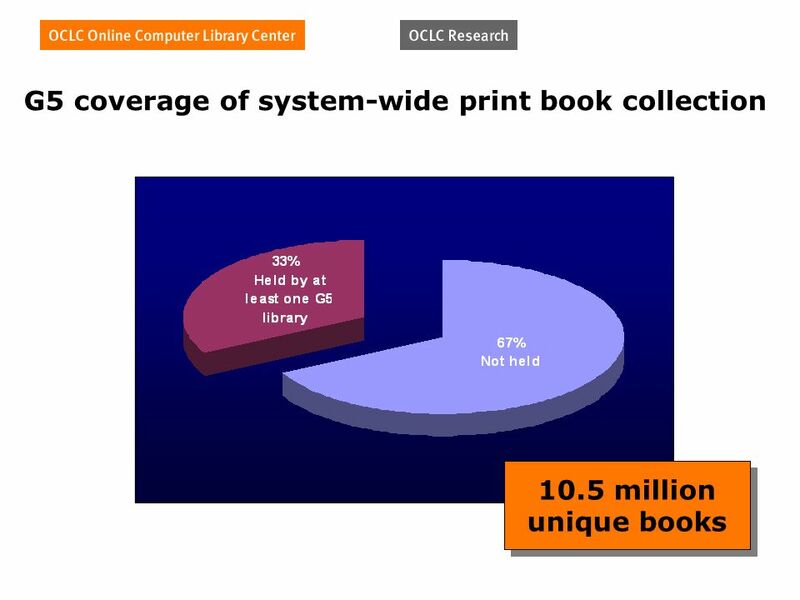 Ithaka A Systemwide View of Library Collections Brian Lavoie, OCLC Research Roger C. Schonfeld, Ithaka CNI Spring Task Force Meeting April 5, 2005. 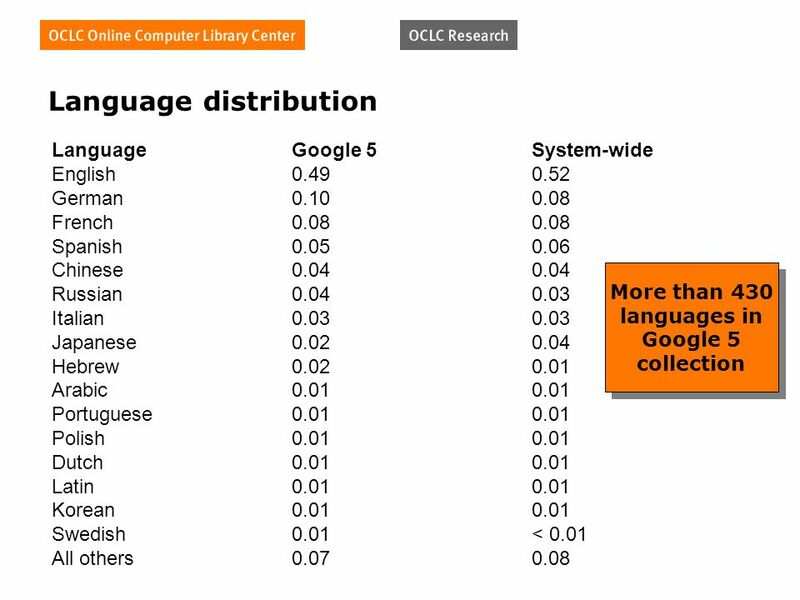 Programs and Research The virtual cultural heritage Lorcan Dempsey With contributions from Constance Malpas LIBER Think tank on the future value of the. 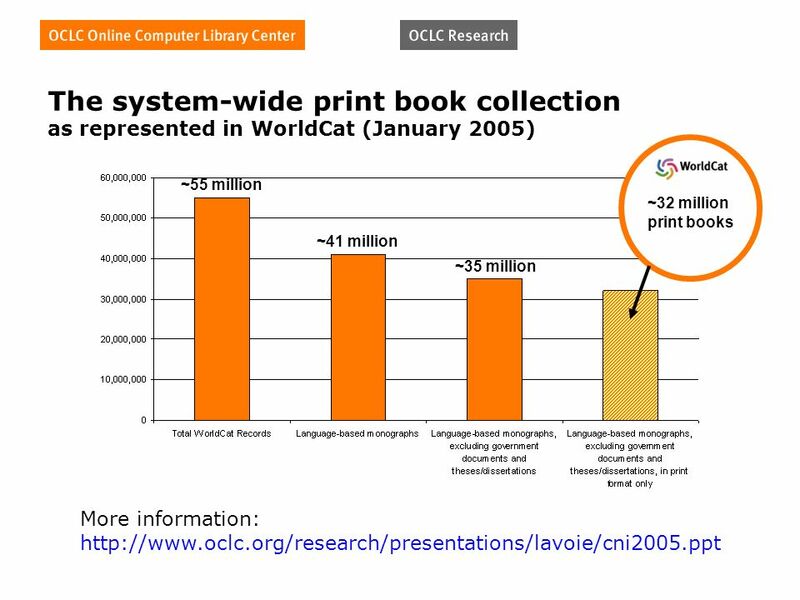 LIBER pre-conference, 5 July 05 The inside out library: libraries in the age of Amazoogle Lorcan Dempsey OCLC LIBER pre-conference: Converging and dissolving. 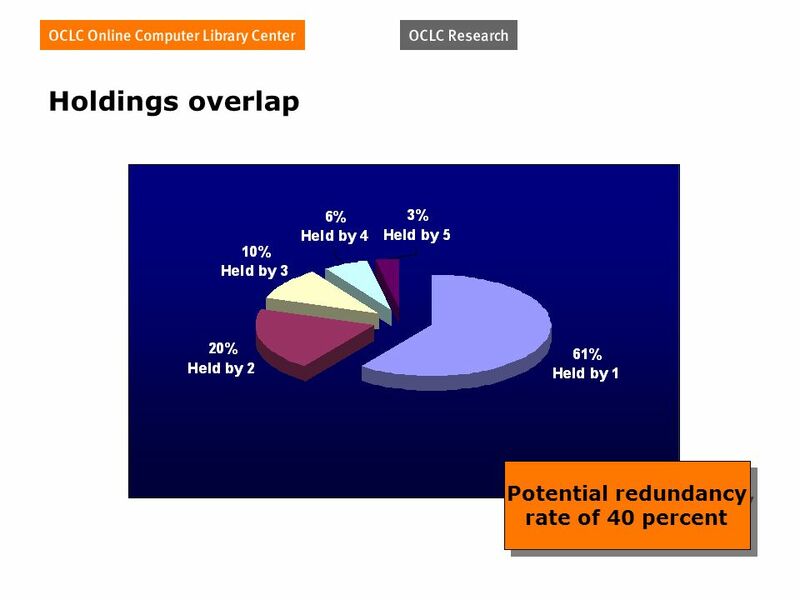 OCoLR # OCLCR Making data work harder Lorcan Dempsey OCLC Members Council 17 May 2005.